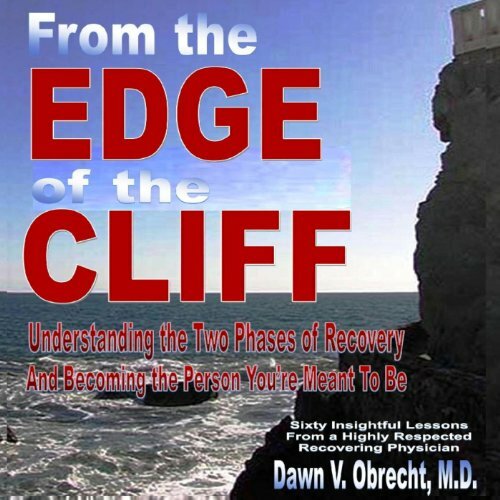 Showing results by author "Dawn V. Obrecht MD"
From the Edge of the Cliff: Understanding the Two Phases of Recovery and Becoming the Person You're Meant to Be provides addicts with practical lessons on how to understand and successfully navigate the two phases of recovery from drug and/or alcohol addiction. However, it is also a remarkably touching, real-life story of someone who has used these same lessons to maintain 28 years of successful recovery. This audiobook contains an entire section on the hazards of drugs prescribed by physicians not well versed in addiction recovery.